I just returned from a trip exploring alien landscapes and serene beauty. Something about being somewhere few have traveled and seeing the earth in it's wild way is very pure to me. 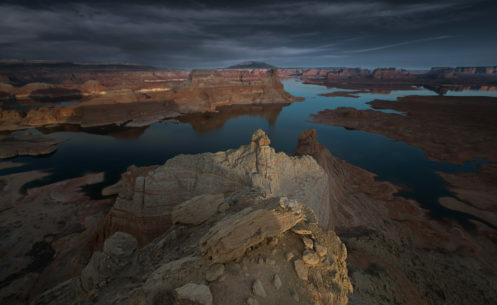 This shot was taken from Alstrom Point overlooking Lake Powell.